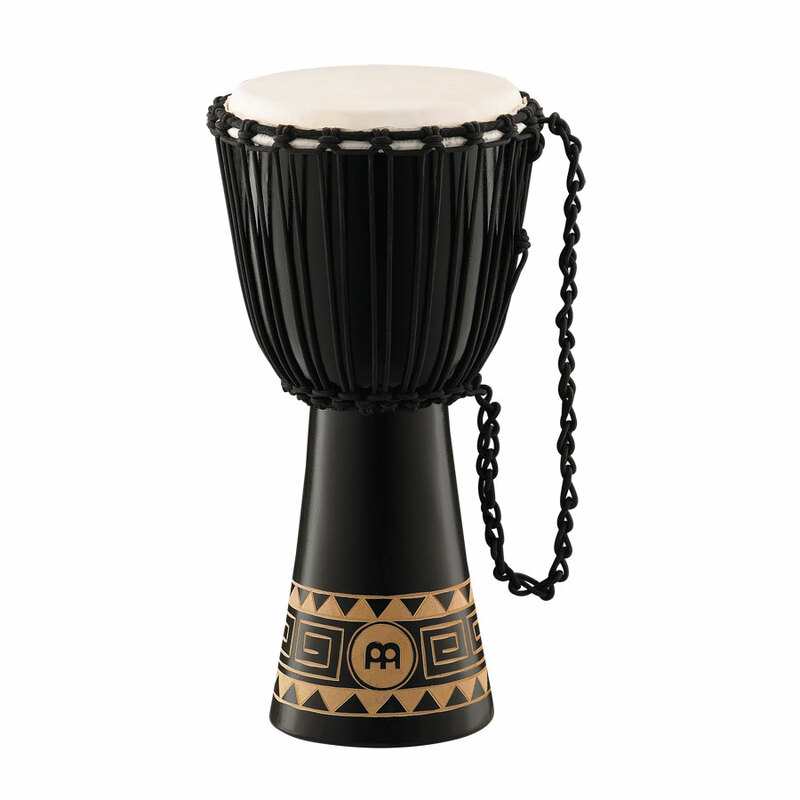 HDJ1-L Congo design Djembe by Meinl. Carved from a solid piece of sustainable mahogany wood. Size: 12″ head. The shell of these djembes is carved from one solid piece of plantation grown Mahogany Wood and has a beautiful ornamental engraving at the bottom. It also features the traditional Mali Weave tuning system.